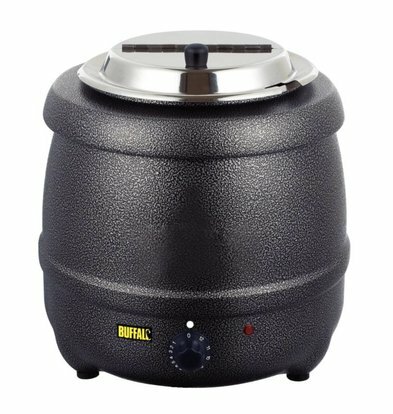 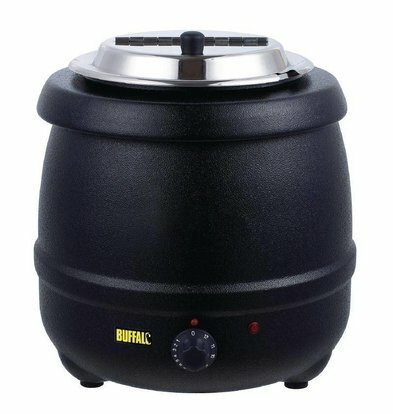 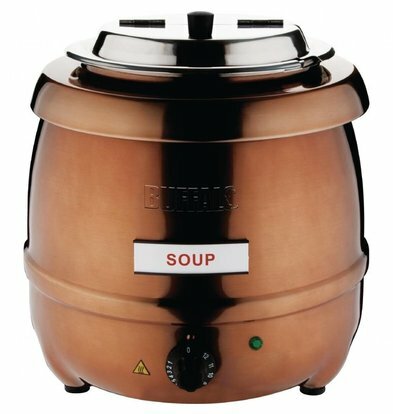 Soup Kettles XXLhoreca are useful for buffets, banquets, parties, or just the winter in a heated terrace. 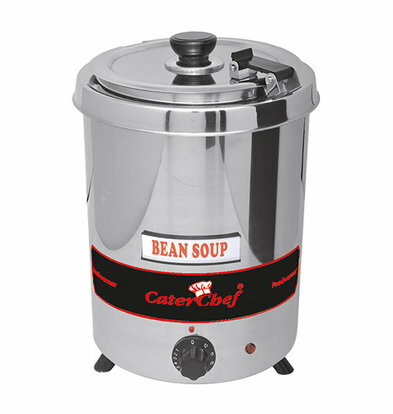 It is the ideal way to serve a large quantity of soup and keep warm. 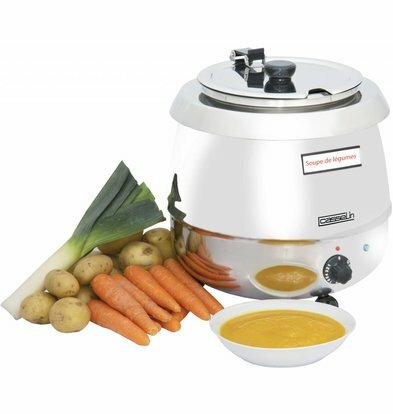 The soup kettles XXLhoreca come from a well-known brands, are made ​​from heat-resistant materials and a series of beautifully designed details for the tastiest soups to serve safely and comfortably. 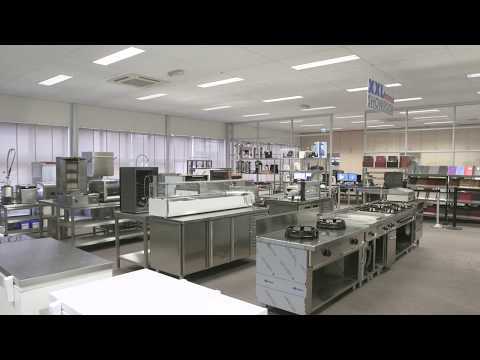 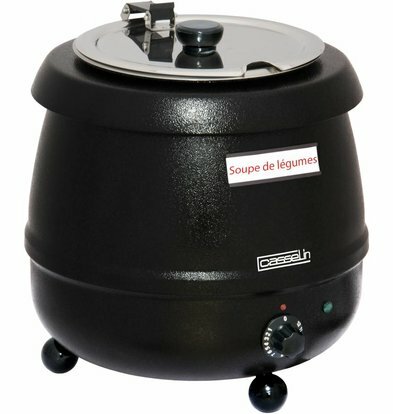 XXlhoreca offers soup kettles of different capacity. 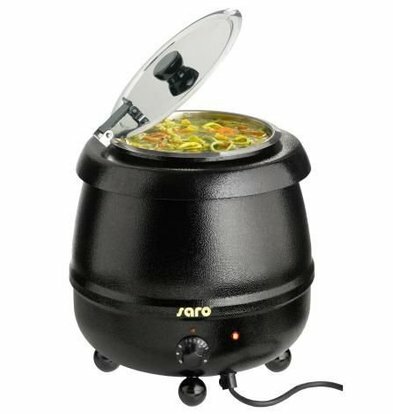 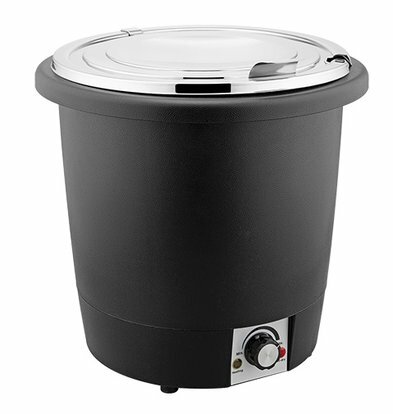 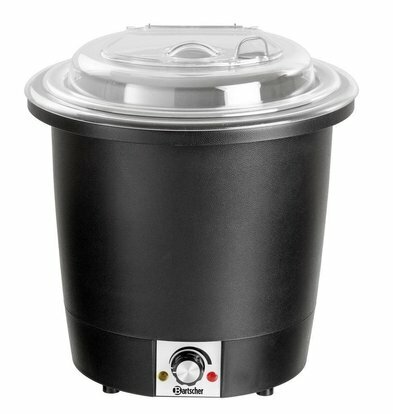 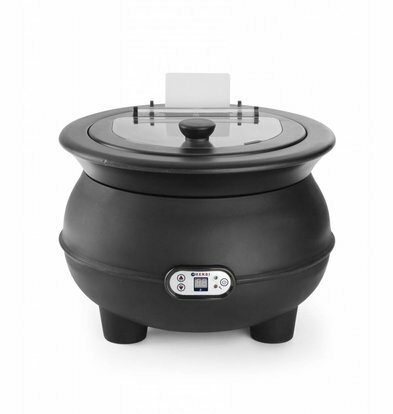 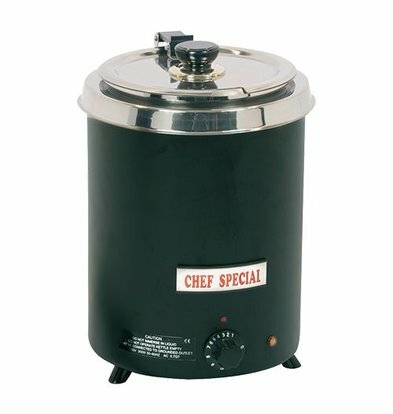 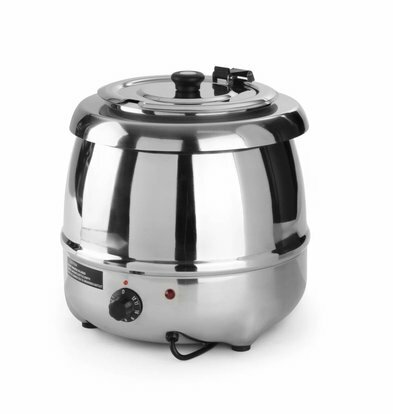 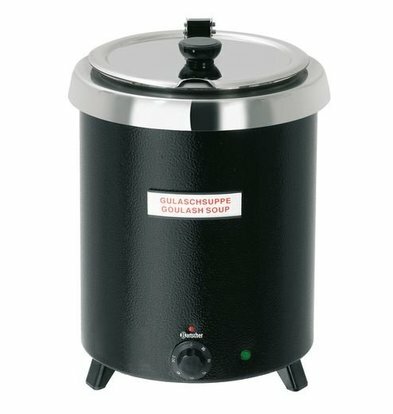 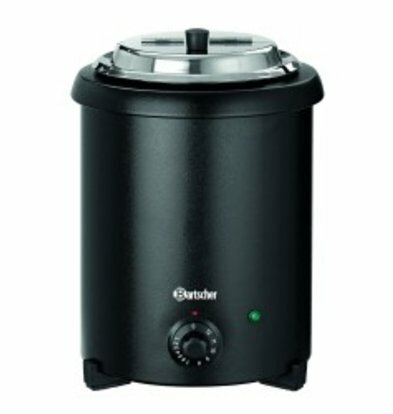 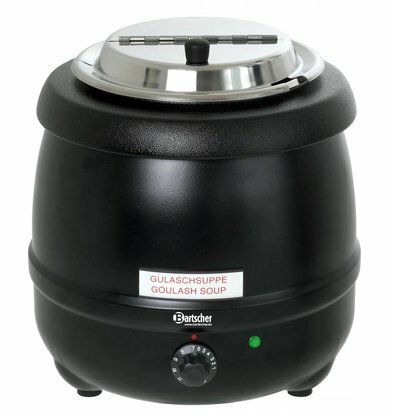 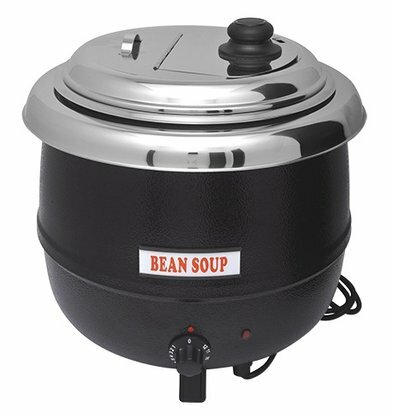 A large soup kettle Bartscher with a capacity of 10 liters and an outer pan of black plastic is a convenient soup kettle for professional catering but equally enters a cake and Sopie tent into its own. 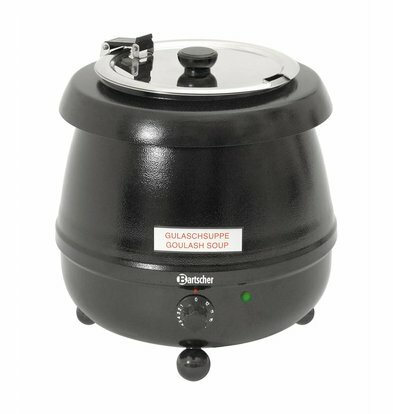 With the removable bowl the soup is easy to complete and the pan stability is provided by three sturdy feet. 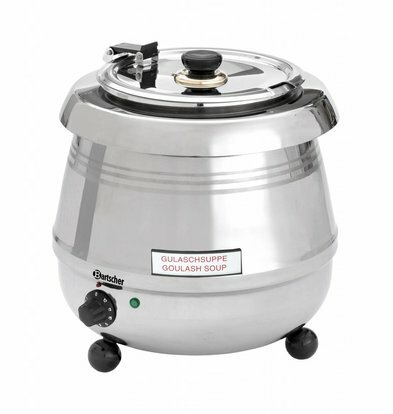 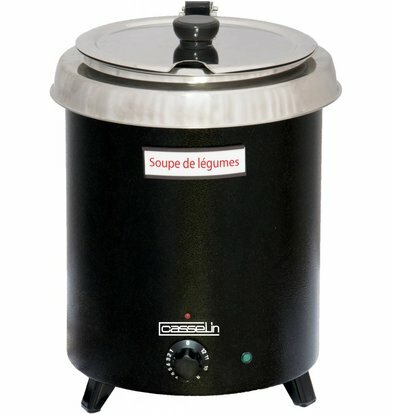 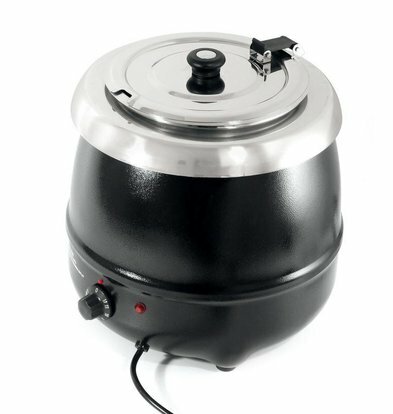 All soup kettles of the brand Casselin have an adjustable thermostat and often have a black coating but can be found at XXLhoreca also complete soup kettles RVS. 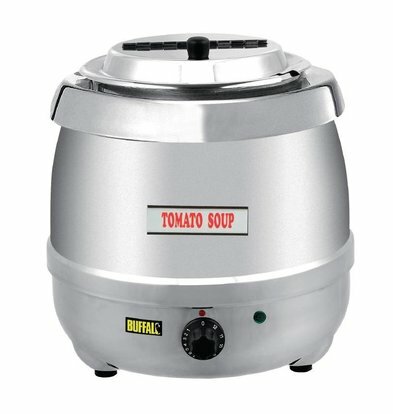 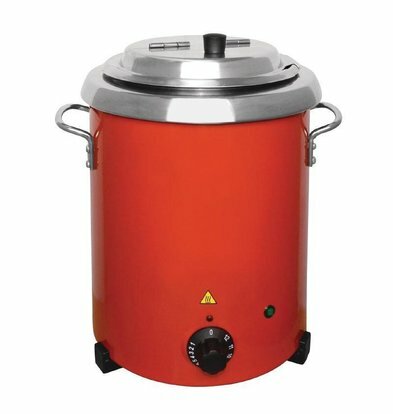 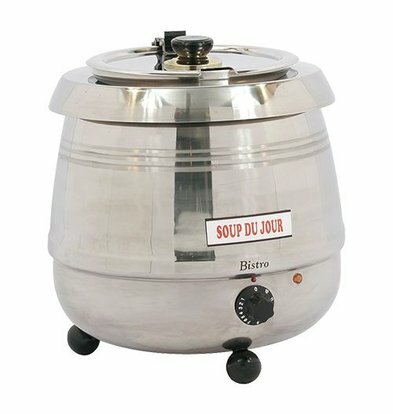 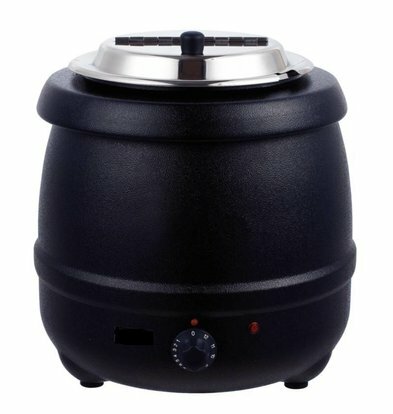 In all these handy soup boiler design is given to the security and all the practical things such as a spoon or ladle recess for the insulated handles so you do not burn while moving the stockpot.